Signed to BEC Recordings last year and releasing his first label EP in July, David Dunn, with vocal similarities to artists like Jonathan Thulin and Robbie Seay Band, has unveiled an album certain to be enjoyed and cherished by many of his previous fans, as we see a man with possibly one of the most unique and enjoyable vocals I’ve heard since someone like Jon Foreman or Josh Wilson. With BEC Recordings home to artists like Kutless, Manafest, Citizens and Saints, 7eventh Time Down and Dustin Krensue to name a few; David’s introduction is sure to brighten up the lineup, with Crystal Clear being a June standout alongside other albums from artists like Finding Favour, Matt Redman and Dan Bremnes. From the powerful hit single “Today is Beautiful” to current hit “Have Everything” and a remastered version of “Ready to be Myself”, this Texan native continues to show us poignancy, heart and more as the more I hear David, the more I’m convinced he’ll be a dark horse in terms of song selection for WOW Hits 2016 (with “Today is Beautiful” and “Have Everything” being strong contenders). With the first 5 songs on Crystal Clear: Deluxe Edition being previously released in 2014 as an EP, David has continued to remind us through these familiar melodies that songs don’t necessarily have to be new to be enjoyable, poignant and meaningful. “Today Is Beautiful”, the first single from the EP to release early 2014, was a song inspired by David’s trip to Africa. Full of acoustic guitars and layered backing vocals to deliver an anthemic feeling, we are shown a theme of seeing beauty in the world we live in through this melody, as sometimes the mundane moments can equally be as interesting if we just ask the Lord to speak during them- the cleaning of the house or the making of the dinner each night can be just as rewarding as the closing of a business sale or the promotion at work. The song gives us a sense of relief, that as we change our focus from our circumstances and ‘…lift your eyes, see it in a different light, just a cloud up in the open sky, let the rain, fall away cause today is beautiful…’, understanding that focus on God will allow us to set our sights on things that matter rather on the seemingly trivial things that seem to plague us on a daily basis. “It is Well”, though not the popular hymn, is nevertheless a song that’s similar thematically as we are reminded to be content in all circumstances, that even in the times where we are troubled and can’t seem to make sense of what seems to be happening. Using a musical landscape of string instruments and keyboard synths, the songs continue to flow, into the electro-pop “Nothing Left”, about us loving each other with everything we have; “Six (Waiting For Love)”, a heartfelt song full of unique and different scenarios where the persona is waiting for hope and love, in spite of their challenges; and current radio single “Have Everything”, again with a heavy synth presence as David relays the thought of how everything we have is Christ’s to begin with. Humbleness comes in the form of David declaring that ‘…You can have me, You can have everything, I am Yours, not holding on, I’ll do anything…’, and with a vocal similarity to Chad Mattson of Unspoken, “Have Everything” is as catchy, poignant and personal as any other melody I’ve heard recently, making David’s single arguably one of this year’s best, and a possible inclusion for WOW Hits 2016 when it releases in a few months’ time. With the remainder of the tracks being either re-recordings, remixes and completely new songs, David continues along with the central theme of us being open, proactive and receptive to what God is trying to say to us- longing to be clear like crystals so that we can reflect Christ whenever we are and to whomever we are in conversation with. “Ready to Be Myself”, previously on his independent album For the Life of Me, challenges us to just be ourselves when it comes to relating to our family and friends, and to not hide behind a wall of fakeness that we can sometimes do. With a pop drum loop underpinning this catchy melody, “Ready to Be Myself” is a great reminder to look within ourselves to see which areas we’re truly being honest to ourselves about and which areas we’re not. “No Matter What”, with the employ of vocal echoes and an 80s musical feel, delves into the territory of God loving us no matter what we feel, think or even believe about the situations at hand, while “Clarity” slows down the tempo a bit and invites us to take part in a soulful and poignant cry out to God, for Him to be our clarity and hope in the times where we need it the most (for most if not all people- each and every day). “Happy” is as pop as ever as David presents to us the theme and question of happiness- are we truly happy with the things we’re surrounding ourselves with, or is there something else more out there that can fulfil our unending longing? “Fade” employs the keyboard as the primary musical instrument while ending the album (aside from the remixes of “It is Well” and “Today is Beautiful”) on a hopeful note as the theme of our problems fading with the introduction of Christ’s love and light being the focus for this melody, and album highlight and personal favourite of mine “Broken Cathedrals” presents an accessible and equally impacting theme of humanity being broken, yet having the ability as a collective to impact the world towards positive change. 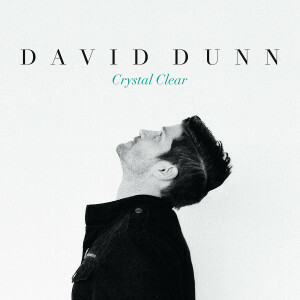 As motivational as any other motivational song (“You’re the Voice” by Johnny Farnham comes to mind), David continues to present relatable yet equally confronting and comforting themes that make Crystal Clear a powerful standout in June 2015. ‘…If you look around the world, the number one thing that people think about and talk about and exist to do are relationships. Most of the time if you’re willing to love somebody the way God intended, however, it’s going to be difficult, and you’re really opening up yourself to be squashed…’ David’s collection of 13 songs is great if you want to see what this BEC Recordings artist can do. A fuller picture compared to his 5 track EP released last year, David has poured out his heart and soul in an album that is equally as fun and catchy as it is sombre, emotive and powerful. While David may not necessarily be the most eloquent or even unique CCM artist currently active right now, he does have emotion and courage that fits the BEC roster quite well. An album that’ll be a standout amongst the label groups throughout 2015 so far; BEC Recordings have signed a fine artist that’ll only enhance their artist roster even more. Well done David for such an inspired and provoking album!